Clustered together in the northeast of the archipelago, the six Northern Islands of Fugloy, Svinoy, Vidoy, Kalsoy, Kunoy and Bordoy are known as ‘Nordoyggjar’ – a microcosm of Faroese culture and nature with everything from wild coastlines and majestic mountains to traditional festivals and exuberant birdlife. 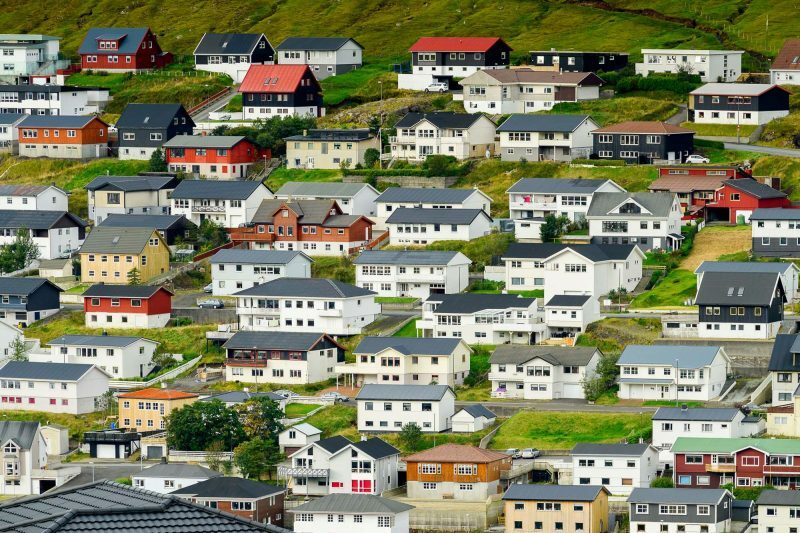 The long, narrow island of Kalsoy has just four villages with a total population of around 100 people. Weathered to a rich blue colour, the bronze and steel statue of the Seal Woman (or Selkie) is an impressive sight near the village of Mikladalur. Measuring 2.6m in height and weighing 450kg, she stands on the rocky shore, with imposing mountains rearing across the bay behind her. Beyond Mikladalur, continue to the northern tip of Kalsoy to the village of Trollanes where you will find the ‘Kiosk at the end of the world’ – a small shop selling ice cream, coffee and souvenirs. The views across the sea to the mighty headlands at the northern tips of neighbouring islands are mesmerising – particularly if you walk to the lighthouse of Kallurin. Lying adjacent to Kalsoy, the island of Kunoy has six mountains over 800m and impressive sea cliffs, including 819m-tall Nakkur, rising sheer from the seething Atlantic and festooned with puffins, guillemots and kittiwakes during summer. Largest of the Northern Islands, Bordoy has a diverse landscape of mountains, broad valleys and fjords dotted with villages. The main centre, Klaksvik, is the second largest town in the Faroe Islands and can trace its origins back to the Viking era when it was a thingstead (or ancient moot). 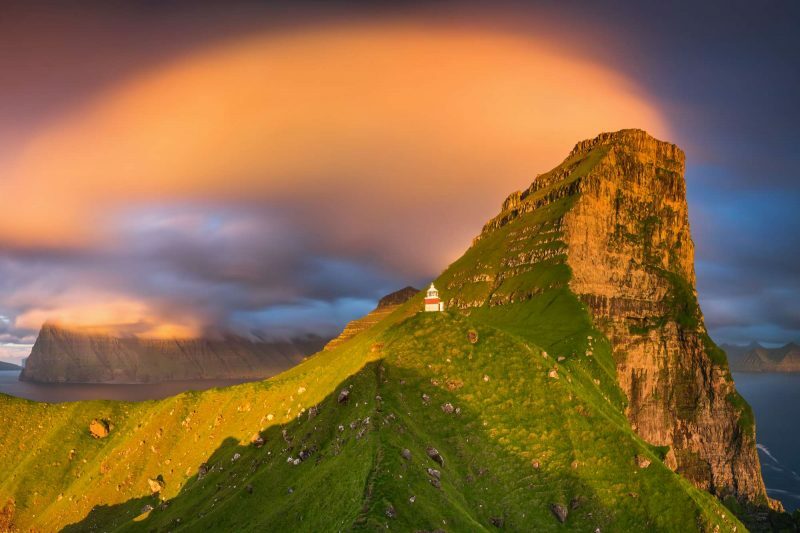 Wildly beautiful, Vidoy is the northernmost of the Faroe Islands and a popular destination for those in search of some of the archipelago’s most captivating scenery. A guided hike from the village of Vidareidi can take you to the magnificent sea cliff of Enniberg, while the Uppi a Vali viewpoint is well-known for its sunsets. Reached by helicopter or ferry, the island of Svinoy has ancient settlements cowering beneath flat-topped mountains. As with all the Faroe Islands, the hiking is excellent. Easternmost of the Northern Islands, Fugloy (or Bird Island) is known for its puffins, guillemots and other seabirds.